Greetings dear ones, greetings dearly beloved children of light and love and the universal energies of this delightful reality. I am here to speak with you now about a new chapter a new beginning for all of you, a new beginning for the planet of GAIA and the universe as a whole. Ready be children of light for the help is on the way, help is on the way in the form of radiant energies of light and love, in the form of the violet light and etheric blue healing energies of love and light. Yes indeed dear children of light, I have come to you to assist you, to assist you in the grand event that is about to occur on your planet, I am that which you all have been waiting for, I return, I return as the star in the night sky that brightly shines above you as you gaze into the night. I return as your neighbor, I return as your friend, I return as your lover, for I live within each and every one of you, for I am, your – I AM PRESENCE. And I am here to assist you your mission of bringing the children back home to me, back home to themselves, back home to their true selves and their true identities. For there is no separation between you and me, for there is no separation between us, and there have never been , for we are all one , one and the same, and yet you are each a spark of infinite blessings, a spark of infinite universal knowledge. I am your guardian angel, I am your guide, I am your companion. For when you look into your own eyes, and when you look into your own being, you see me. For I am you and you are me. I am your creation as you are mine. I am the ascended master that has walked this earth and will continue to do so, but this time through all of you, for I am your universal presence, I am the source. I send to you now the help the assistance that you all have been waiting for in the form light, and love, and I ask your other self – AA Raphael to guide you through the next 56 hours of your earthly times in order to illuminate the way for you to find your I AM PRESENCE and to help those around you to do the same. Call upon AA Raphael, call upon a deity of your choice, call upon the presence of your being, for it matters not, for we are all one and the same, the same and one. And once you call upon the higher powers that be, You will instantly be encompassed and uplifted by the loving energies of the Violet & Blue radiant healing frequencies of eternal health and well being. I ask you now to call upon Raphael, for he will come to your assistance, and he will illuminate the way for your further progression on the journey of your IA M presence and the journey of all children of planet GAIA. For when this energy enters your being you shall carry this frequency with you wherever you go and spread this healing energy to one and all, to all and one. I am the source. I am your Mother/Father god. I am your “I am presence”. I love you. I am with you. Never goodbye, for I am with you always! Personal Note: In order to get the new energies, you do not need to do anything, simply think that you wish for this upgrade to take place, and ask whomever you feel most comfortable with. IT doesn’t have to be AA Raphael, it can be anyone you feel most close to. But you must have the intention of receiving this upgrade, you need to just put this into the universe that you are ready to receive this healing energy. THAT IS ALL! I am so thankful for this message during this transitional time for me and me grandson. It is, I pray, a sign, for better life for us, for our dreams to come true. Blessings.. and thank you…Gratitude and Joy. I am ready to upgrade and receive the healing energies, Thank you all for the help. Thank you! We are blessed! This message stopped me in my tracks and brought me to tears — thank you! This is what i have been waiting for, yes! THE RIGHT TIME!! 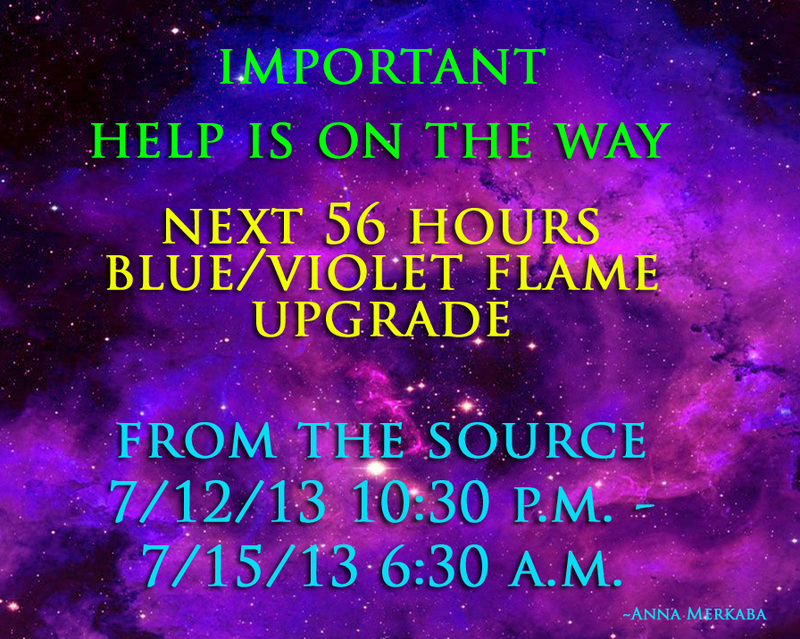 I am ready to receive the loving healing energies, i am ready to upgrade!Thank you! Aloha Anna, My name is Puanani Rogers and I live on the island of Kauai, Hawai`i! I am active in our efforts to correct the wrongs done to me and our people of Hawaii nei. We are not a State of the USA, we are a sovereign nation that needs to be honored by the USA. I am honored to receive this message, I have been on Nesara International for years. I’m not sure if I am ready to receive the upgrade but i will keep my mind and heart open to what may come. Yes, it is the perfect timing because I will be flying to Oahu to a huge gathering of our people and will share your message. Mahalo a nui loa, thank you very much and may we all stand in the Light of Ke Akua (God).